On today’s episode, you’ll hear the amazing Before The Millions story of Daray Olaleye as he is interviewed by Chris Prefontaine. 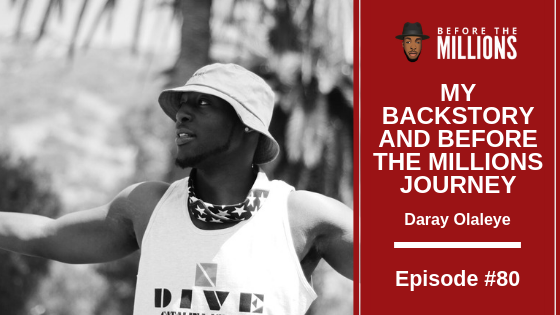 Daray talks about what sparked his initial interest in real estate and how his discontentment at his 9-5 job pushed him to find alternative options to achieve true financial freedom. You’ll learn the first steps you need to take to purchase your first real estate investment. Lastly, Daray talks about how he leveraged the power of coaching and mentorship to fast track his success in business and life.